Windy gives you full right to use any videos, animations or screen captures, in any media, project or any other intellectual work for free as long as the sentence "source: windy.com" is present in media. But now we go even further. Map annotations at https://www.windy.com/annotate let you make nice, shareable link. Send this link to anyone, to show him weather situation, that is so interesting. 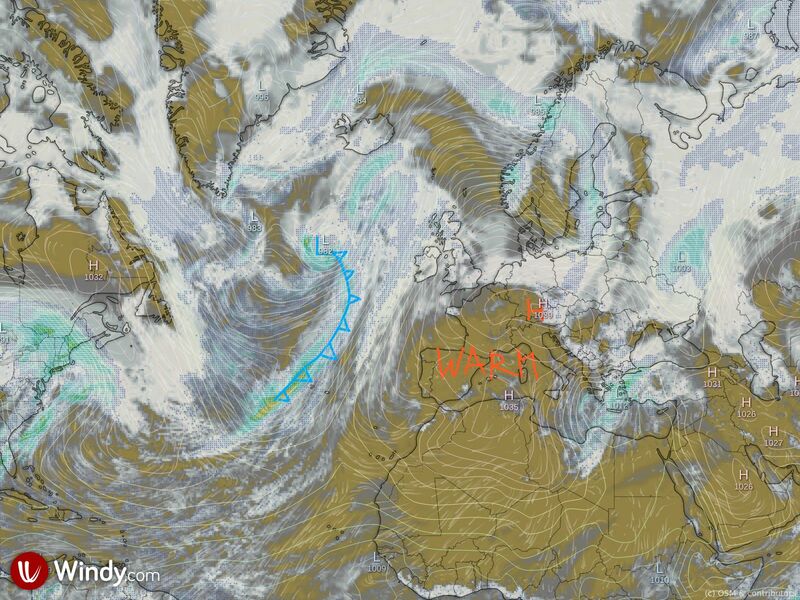 So if you like weather maps with fronts, draw them and share them. All the annotations are published as Creative Commons, because our mission is to help the others. If you want to make nice screenshot of Windy page yourself use https://www.windy.com/screenshot lo launch the page, without any UI elements. Screenshot page can be also launched with some handy parameters in the URL, so use for example https://www.windy.com/screenshot?50.083,14.467,5,i:pressure where query string has the same meaning as usual. Screenshots can be also launched with annotations open or set up for high particles.